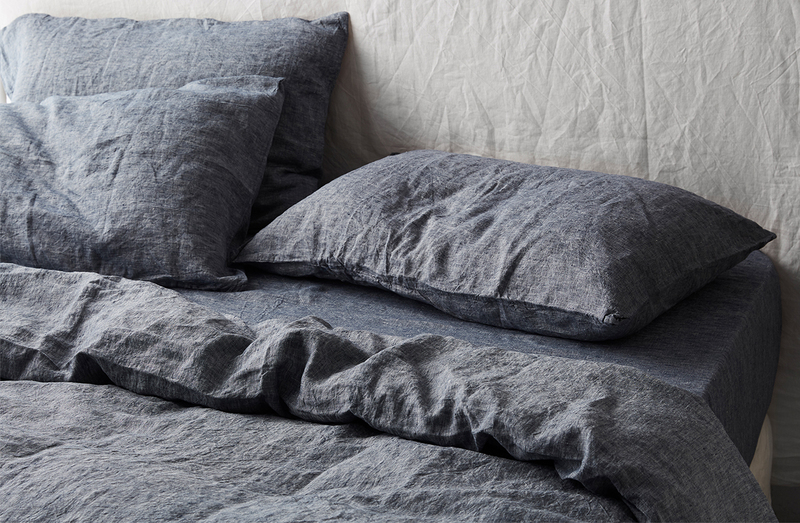 Beautiful linen. Soft and luxurious. Very pleased, thank you. I'm so happy I decided upon this colour for the bedroom. It is instantly calming and the texture is beautiful and soft straight out of the box. 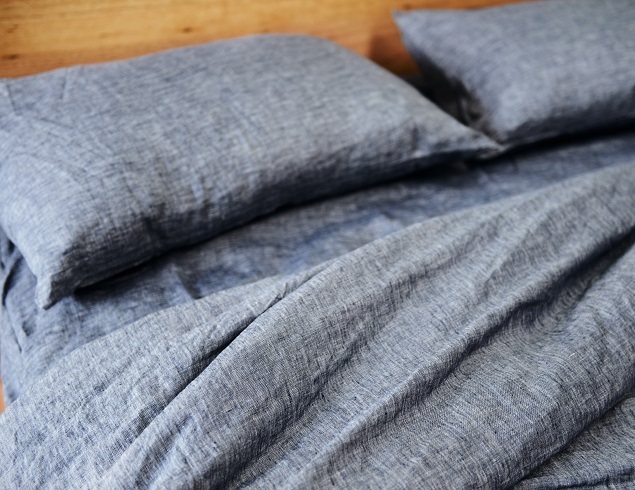 It also feels strong enough to last the test of time and I will no doubt be making future purchases of top sheets to complete the look. I was looking for the perfect chambray colour. After searching high and low i just couldn't find what i wanted. 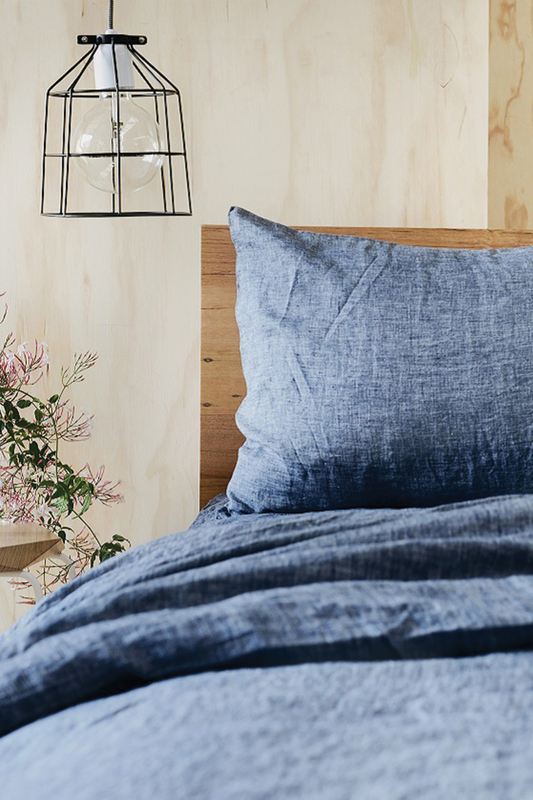 Was so happy to see the chambray particularly in the linen as it is the perfect combination. We were going to use it in our showroom but i am sneaking them home! THEY ARE MINE NOW! The quality of the products I ordered surpassed my expectations. They look and feel great and I'm also very pleased that they are ethically sourced. They were very quick to amend my order as I had made a mistake while placing it and communicated in a prompt and friendly manner. I am definitely ordering from them again! Beautiful product, great colour. I love the weight of this fabric and the option to iron it or have it "rumpled". 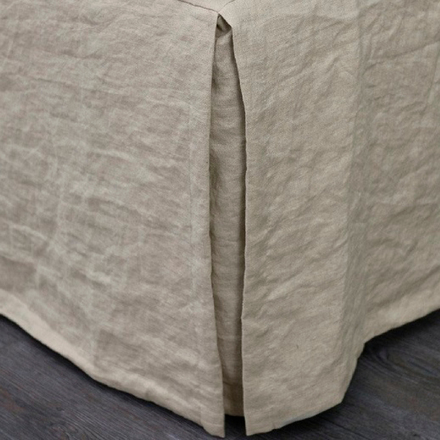 So happy with our linen cover, it is perfect and wearing so nicely. Next stop, sheets. I absolutely adore my beautiful new quilt cover. It gives my bedroom a calming but interesting feel and looks so comfy! All my inquiries were quickly dealt with in a friendly manner and information on delivery times was helpful and accurate. I highly recommend this product. My friend has purchased the light blue set which is also stunning. The only thing that could be improved was the presentation of the delivery. 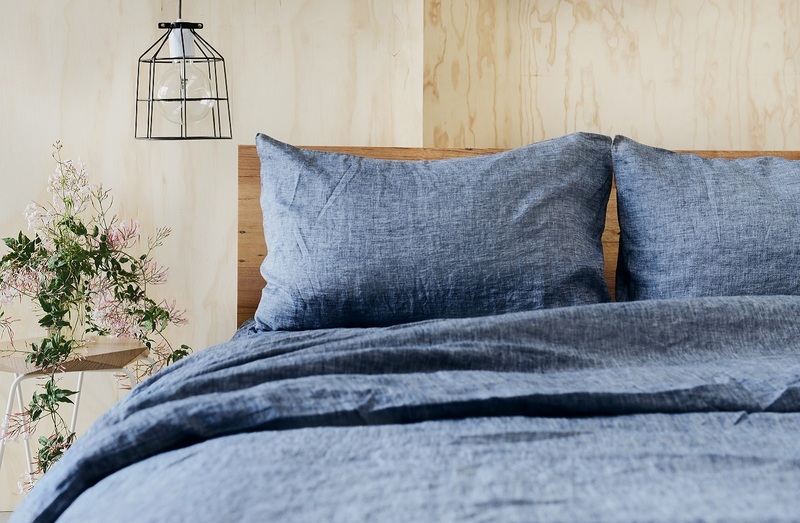 Can't wait to save up and by another I love Linen set. Oh and the cloud pillows I purchased are to die for too! 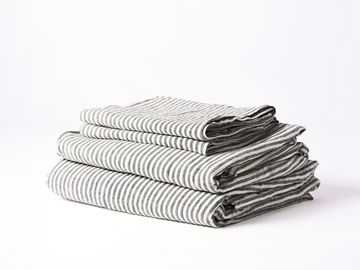 This was my first purchase from I love Linen. 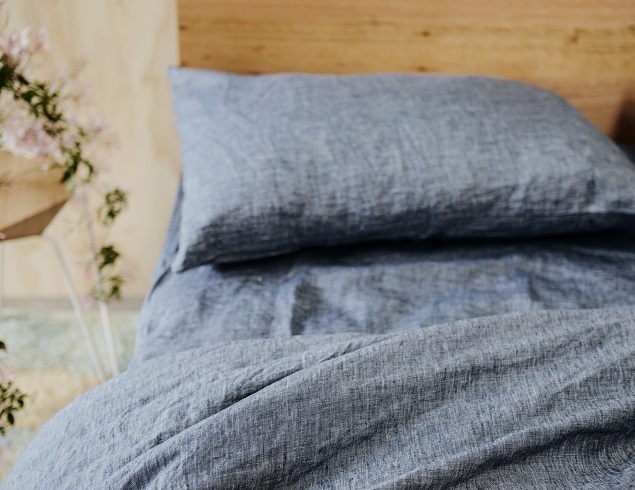 I am so happy with this product which was a much deliberated purchase as I had only previously bought bed linens in a retail store environment. Encouraged by all the reviews and help from the live chat I took the plunge and simply love sleeping under this quilt cover. 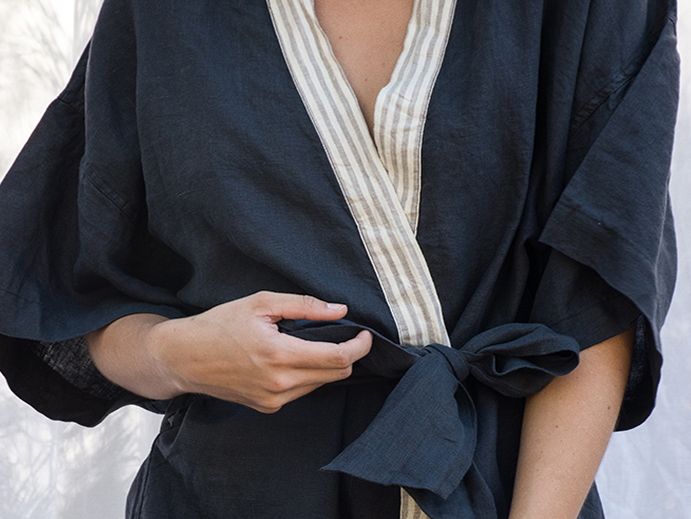 The texture and weight of the fabric, especially in Summer is gorgeous and comfortable. I've had this beautiful set for over two years now, and it looks JUST as good as the day I bought it. 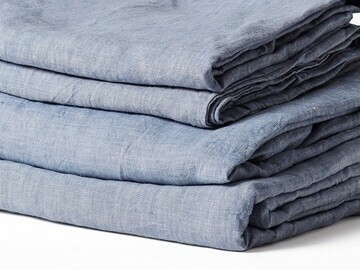 You know, they say once you go linen you'll never go back, and I agree! Cool in summer and cosy in winter. 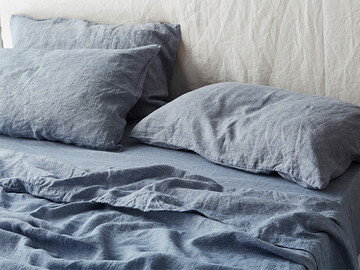 My only problem, I now need to save my pennies for a sheet set as I am in LOVE with Lauren's linen! 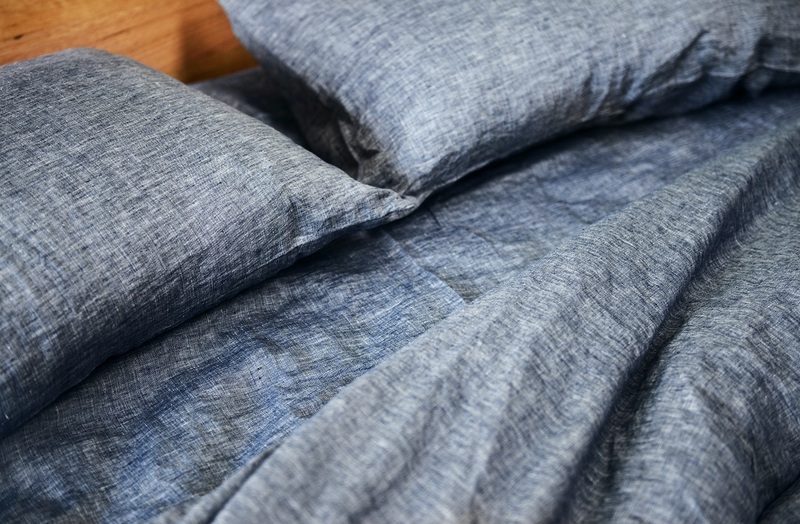 I bought the King Quilt cover a couple of months ago and am so impressed with the quality and feel of this linen. It is just gorgeous to sleep in and I really enjoy "clean sheet day" once again. I am SO happy with the linen. It's gorgeous and arrived so fast, feels amazing and I definitely prefer this feeling to cotton. God I love my new linen! It feels so beautiful, like a soft but thick feeling. 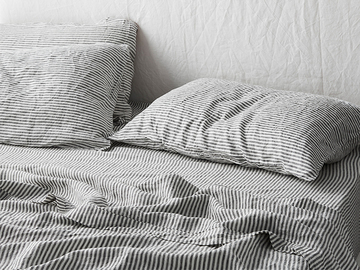 It's the best bedding I have owned and it was packaged beautifully. 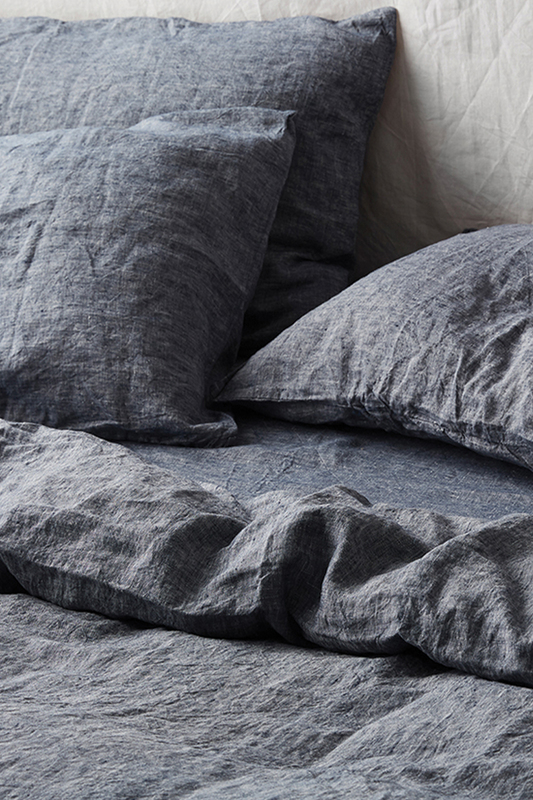 What's not to love about this linen - seriously! It feels so amazing I adore it. Luxury times a million. So beautiful! It feels divine, so soft and lovely I am obsessed and will totally be buying the sheets when I save my pennies!! I don't know how to describe how beautiful my new quilt cover is. My husband also loves this colour and it's good as I am not allowed to have white anymore. The colour is just gorgeous and the pillow cases are lovely too. 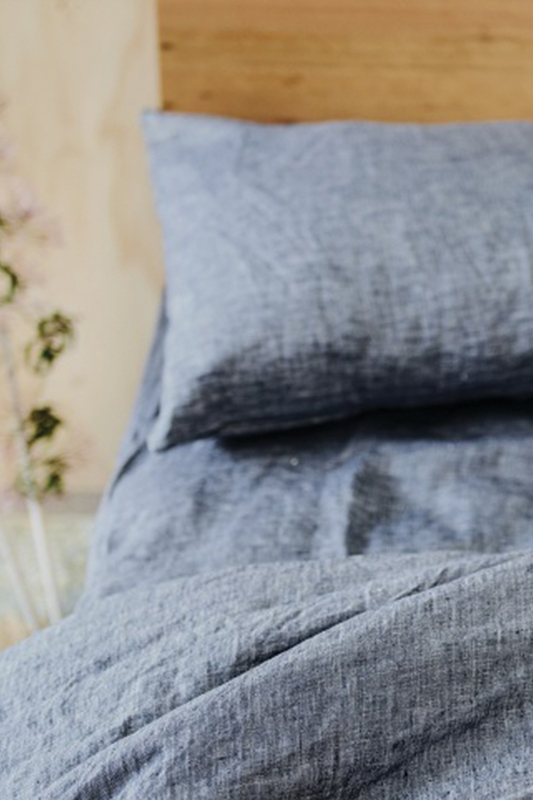 Create a lived in and cosy look with our simple and relaxed Deep Blue Chambray. 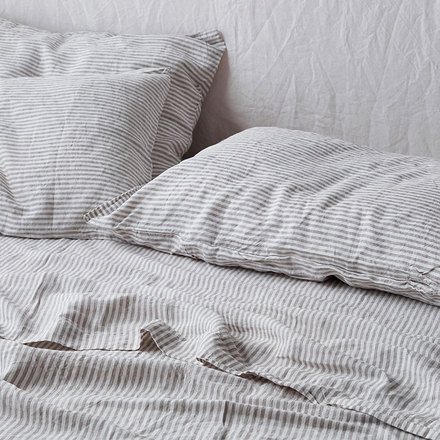 For extra depth pair our Soft Grey Stripes sheet set, or for more warmth add our Blush sheet set. 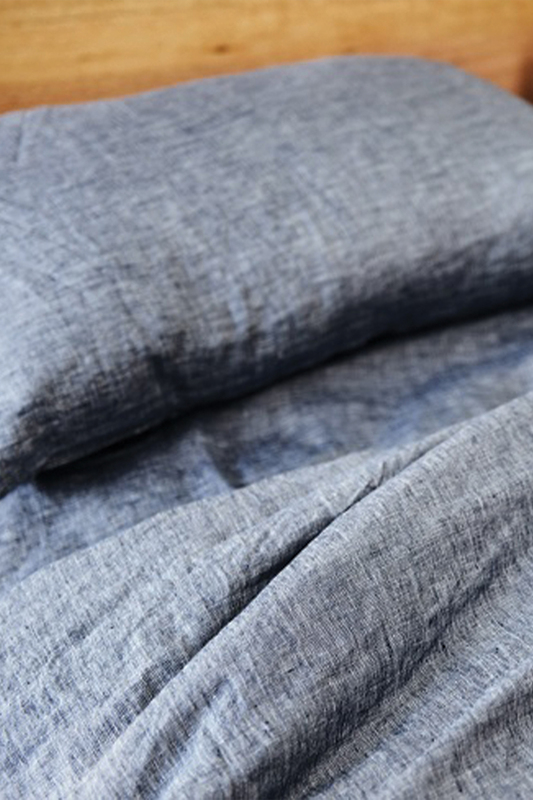 To learn more about your linen please read all the details under our Designer Notes below.